Thanks to its geographic position, The Republic Of Macedonia has lots of free solar and wind energy supplied by the nature. In the context of our work to preserve the environment and the natural recourses, we offer the following alternative energy sources. 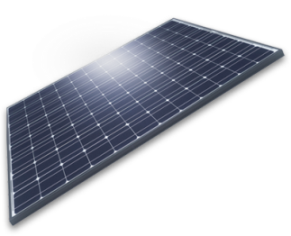 As the best solution for your solar systems SIETO recommends these polycrystal PV panels for the production of electric energy. For places with reduced wind speed, we recommend the VT-200 turbines. They are manufactured for a 12V current. The starting wind speed at which the generator starts to produce electricity is 2.8m/s. The nominal power at 12m/s is 200W, while the maximal power is 300W. The monthly electricity production at 5.4m/s wind speed is 40KW/h. The diameter of the blades is 1.2m. 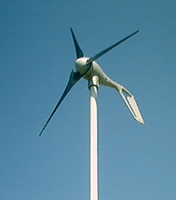 The turbine is made with 5 or 6 blades mounted on it. The weight of this type of wind generators is 11kg. The mounting is easy and simple and there is no need for maintenance, because the turbine itself has protection against over voltage or overfilling of the batteries, as it has a built-in voltage regulator in the frame itself. This type of turbine is good for small users like light, radio, TV etc. 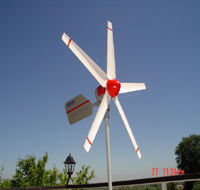 AIR 403 are one of the most popular and the simplest to use wind turbines that are ideal for places with average wind speeds. We are offering you the AIR 403 LAND and AIR 403 INDUSTRIAL. They are made for voltages of 12, 24 and 48V. The nominal power at 12m/s is 400W, while the maximal power is 600W. The starting speed at which the generator starts to fill the batteries is 2,7m/s. The small 7kg weight and blade radius of 1.15m make them ideal for a variety of individual and professional uses. They are mounted on a metal pipe with a 48mm diameter. The electronic regulator is mounted in the frame itself, and the alternator has semi-circular magnets that increase the nominal power for 30%, and on weaker winds for 50%.The AIR 403 has a built-in electronic brake that automatically slows down the blades to a slow and silent turning when the batteries are full. Whisper W-100 , W-200 and W-500 . W-100 is a turbine with a weight 21kg and blade diameter of 2,1m. It starts producing electricity at a starting wind speed of 3,4m/s. The nominal power at 12m/s is 900W, while the maximal power is 1000W, and with about 5,4m/s it can deliver 100KWh in the batteries. The W-200 is a turbine with a weight of 30kg and blade diameter of 3m. It starts to produce electricity at a starting wind speed of 3,1m/s. The nominal power at 12m/s is 1000W, while the maximal power is 1300W. With about 5,4m/s annual wind speed, it can deliver monthly 200KWh in the batteries. The W-500 is a turbine with a weight of 55kg and blade diameter of 4,3m. It starts to produce electricity at a starting wind speed of 3,1m/s. The nominal power at 12m/s is 3000W, while the maximal power is 3300W. With about 5,4m/s annual wind speed, it can deliver monthly 500KWh in the batteries. In the greater systems, it is common that the direct battery current be transformed into standard AC 220V/50Hz, by inputing an inverter. This way, it is made possible that equipment with standard grid plugs be loaded (radio, TV, VCR, stereo systems, fridge, washing machines, PCs etc.) 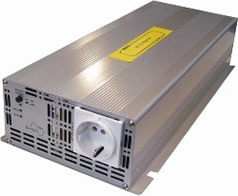 The SI-KON inverters are fully developed in SIETO. Because of the importance of using every disposable amper of produces current. we mount highly efficients lights in the opbjects charged by renewable sources, and those lights have minimall losses in the process of transformation from electric current to light. For inner illumination, we use the SFS I LC series models. Bothe the series use standard fluorescent light bulbs. For illuminating the tubes, we use electronic inhibitor which modulates the gas with high frequency current. 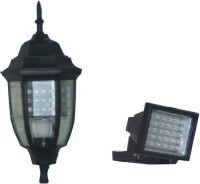 For outer illumination of streets, parks, walkways and playgrounds we use SLS series lightbulbs. The lighting element in this model is a highly efficient LED. In the SL 9 model, which is shaped like a lantern, the LED diodes are with total power of 9 watts, and in the SLS 6 model which is shaped like a reflector, there are 6 W powered LEDs. Both types of lights are meant for montage of candelabras with photovoltaic panels. EL-BA 2.0 is and electric balast which starts the fluorescent lightbulbs. The balast provides quick startup of the light-bulbs, which modulates the gas in the light bulb with a 30-40 K Hz frequency current, which gives maximum illumination with minimal power usage. The inhibitor's working voltage is 220 V +/-20%.